With London Fashion Week less than a week to go I thought today was the perfect day to pamper myself and just taking it easy. I'd like to share with you some of my current hair and skin care favourites. With winter still being in full swing I find it even harder to make your hair look glossy and skin glowing. I'm not one to use a lot of hair products and I'm also not very good at styling my hair so I'm super happy with my Show Beauty 'Pure treatment oil. I've been using it for a month now and it's safe to say that my hair has become much more healthy and I love the smell of the product. I probably wouldn't spend that much on a shampoo or conditioner (as you anyway rinse it all out again) but using the right hair oil can make all the difference to your hair. Another hair care staple of mine is dry shampoo, I mean who doesn't like a little volume to their hair. 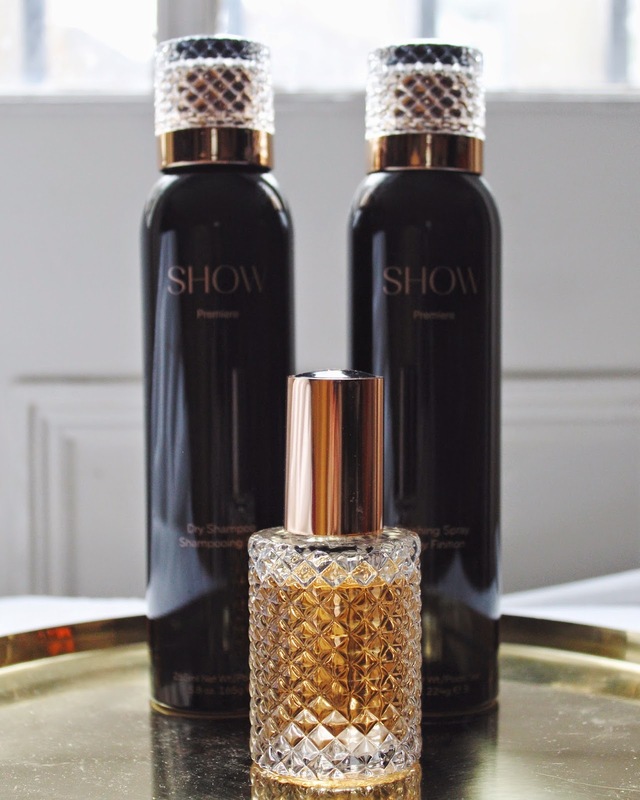 Aside from the sleek black packing this Show beauty dry shampoo has a powdered, lighter spray which means it doesn't leave your hair heavy which is a big plus in my books. On top of that it's colourless, meaning that even if you are in a hurry none can tell that you are using it. I've been looking for quite a while for a facial cream that doesn't feature mineral oils or other petrol-chemicals and still leaves my skin nourished. 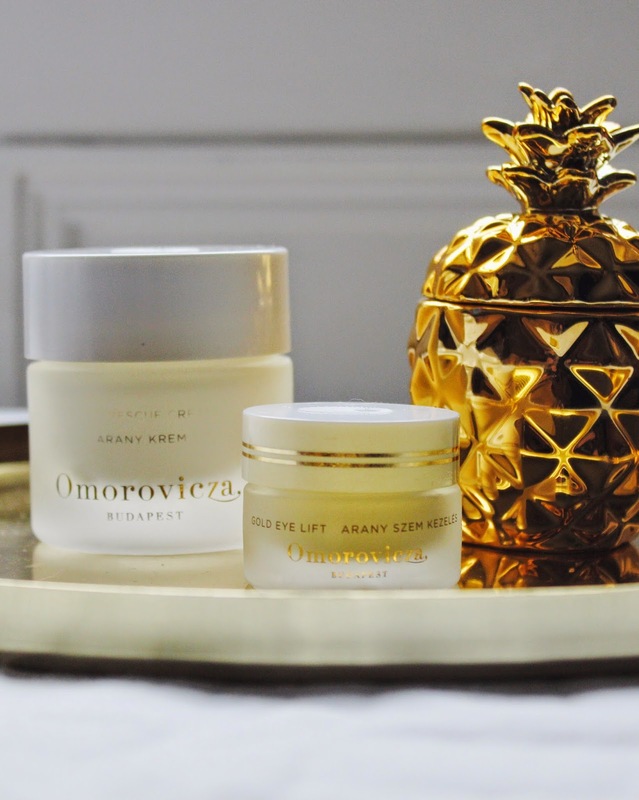 During my search I discovered Omorovicza and their amazing Gold Rescue Cream, which leaves my combination skin nourished without being too heavy. 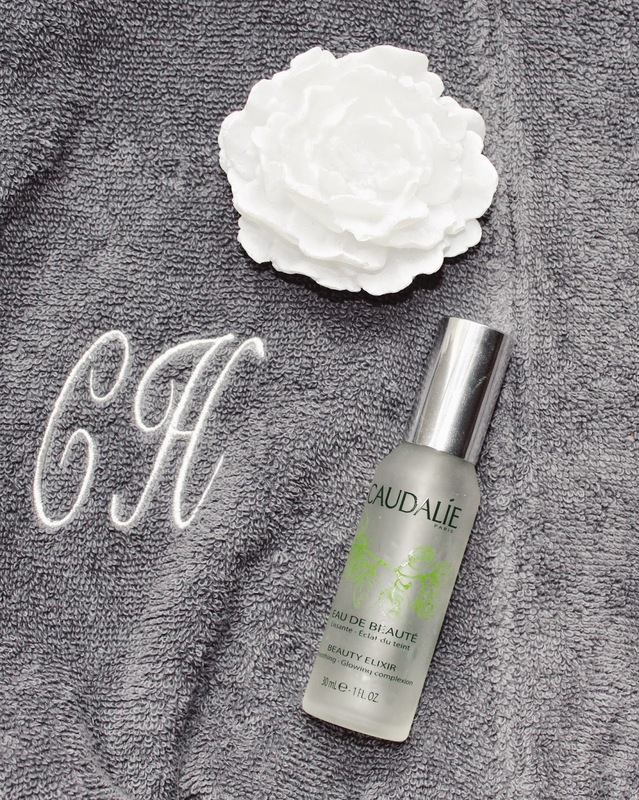 The cream is powered by a potent thermal-water-in-oil barrie formulation that protects and repairs the skin for a rejuvenated and glowing complexion. I've been using this cream now for 3 weeks and I can really notice how much more nourished my skin feels. I've recently started to introduce eye cream into my night time routine and finding the right one is not as easy as I thought. Some creams rather dry my eye area whereas other creams make my eyes well up as soon as the cream reaches my eye area. I've tried the Omorovicza gold eye lift cream for a couple of weeks now and none of this was the case. The cream feels really light and I've been waking up to a smooth eye area. Sunday is my 'mani and pedi day' and I'm currently loving this delicate pink polish by Orly. The shade is called 'lift the veil' and I love it's easy to apply formula. I love spending my Sunday nights in my cozy Pajama and you can't beat a monogrammed bathrobe (this one is from Soak and Sleep). I would love to hear about your current skin and hair care favourites. Oh der Nagellack sieht einfach himmlisch aus! Und ich bin auch ein absoluter Fan von Trockenshampoo. Einfach perfekt für zwischendurch!